Comparative Psychology––Where has it gone? Merged into ethology or morphed into physiological psychology? Absorbed into behavioral neuroscience, biological and evolutionary psychology? While many say the area is still thriving, comparative psychology is no longer listed at the Louisiana State University Psychology Department. But once upon a time the department had its share of these “monkey men,” the affectionate term for those who observed the behavior of primates and then told us about the development, adaptation, or social structures of these close great-ape relatives. One of those men is Dr. Billy Seay, now retired from both his work as Professor in comparative psychology and from his role as Dean of the LSU Honors College. “Comparative psychology was the study of animal behavior,” he told the Times. But when asked if the objectivity that comparative often provided is missing these days, he said, “Objectivity requires constant attention and re-evaluation of thinking and point of view. Any field of science requires objectivity and constant vigilance.” And, he explained, it is available now as well as then in efforts of psychologists. When Seay came to LSU as a young psychologist in 1964, he brought with him the distinction of having published in the then ground-breaking studies about mother-infant separation. Seay studied with the American primatologist, Harry F. Harlow, at the University of Wisconsin. In his work at Wisconsin and with Harlow, Seay published “Mother-Infant Separation in Monkeys,” in the Journal of Child Psychology and Psychiatry, “Affectional Systems in Rhesus Monkeys,” and “Maternal Behavior of Socially Deprived Rhesus Monkeys,” and ‘Maternal Separation in Rhesus Monkeys,” in the Journal of Nervous and Mental Disease. But eventually funding became more scarce and Dr. Seay decided to take an offer to serve as the Director of the LSU Honors College and then the first Dean. Seay worked with colleague and fellow LSU professor and development psychologist, Dr. Nathan Gottried, who passed away in 2012. Together they authored The Development of Behavior: A Synthesis of Developmental and Comparative Psychology in 1978, which rested on the expertise of both men. The Development of Behavior was ahead of its time. While debates still occur today about which influence––genetic, environmental, epigenetic, individual, etc.,––is dominant in development, Seay and Gottfried’s text explained the importance of five “sets” for determining behavior from all five directions. In Development, the authors approached behavior from the dynamic interplay of the Phylogenetic Set, the Ontogenetic Set, the Experiential Set, the Cultural Set, and the Individual Set. “One hopes that what is not lost is that all behavior is multiply determined,” Seay told the Times. “There is not a single cause for any behavioral outcome,” he said. In The Development of Behavior, Seay and Gottfried took each of these five Sets as a topic for Part I, “The Determinants of Behavior.” The text outlines the multiple and interdependent influences on human development, wrapping each one into the others to punctuate the complex interactions possible, even if yet to be discovered. The chapter on the “Phylogenetic Set” shows that behavioral development is “species typical.” Authors include topics of reflexes, fixed action patterns, and learning dispositions. For the “Ontogenetic Set” the influence of maturation on behavior is described, and authors include topics of prenatal, neonatal, and sexual identity topics. In the chapter for “Experiential Set” they cover learning, both classical conditioning and instrumental, and specific and nonspecific environmental dependence influences on behavior. Chapters 5 and 6 are the “Cultural Set” and “Individual Set” and the authors lay out continuing explanations of development by shifting between Sets and the dynamic influences. Seay and Gottfried explain that cultural influences may not be dramatic, but rather subtle and out of conscious awareness. The chapter on the Individual Set makes clear that there is unique variation in all humans, coming from the individual set of influences. For Part II, “The Development of Behavioral Processes,” the authors note that “all behavior is oriented and organized in some way,” and they select four behavioral processes to include for readers in showing how this occurs. 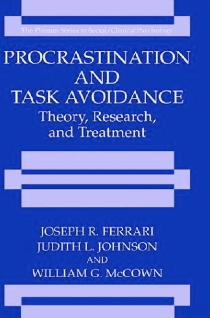 They include a chapter on “The Orientation of Behavior” with sources of information about the psychology of attention, perception, and motivation. In “The Organization of Behavior,” places emphasis on development and schemas (the internal structures that are basic to organized behavior) and explain smiling, self-schemas, counting, and problem-solving schemas, for example. 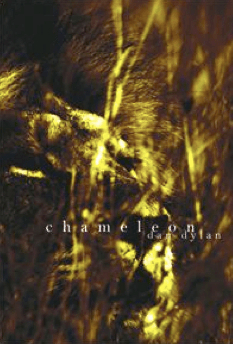 Descriptions of human and also animals are richly woven throughout. Chapter 10 outlines “Affectional Relationships,” with reviews of attachment, love, affection and development, and includes attachment in humans, birds, mammals and topics of affection, development and heterosexual love and gender identity. The final section for behavioral processes, is “Social Organization,” Chapter 11. This chapter includes examples of temporary and permanent organization, with examples from bison, mallard ducks, wolves, and humans. The chapter on “Variation in Adaptation” covers the broad issues of population adaptability, with examples of baboons and gorillas. And the closing chapter, “The Meaning of Development,” brings together the synthesis and framework for the text. Throughout the text, the authors place their emphasis on the variety of influences that merge to create behavior, that each can be influenced by the others, creating the unique, changing person. The approach in Development of Behavior is as rich and worthwhile today as it was in 1978. This entry was posted in The Bookshelf on July 23, 2015 by Jamilah. 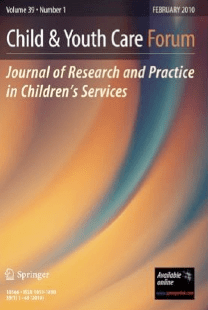 Carl F. Weems, PhD, Professor of Psychology at the University of New Orleans, oversees this peer-review, multidisciplinary publication by Springer, Child & Youth Care Forum: Journal of Research and Practice in Children’s Services. Dr. Weems guides a host of experts from around the nation and the world in the Forum’s Editorial Board, including an array of colleagues from the New Orleans area, giving this comprehensive platform for improving the lives of children a clear Louisiana connection. Contributors and readers in psychology, psychiatry, and social work, as well as those in public policy and government, will find the journal to be a valuable, useable resource. blending theory and applications for all those dedicated to the well-being of youth in today’s world. At U. of New Orleans, Dr. Weems’ research interests include developmental psychopathology of anxiety and depression. He specifically looks at how to integrate developmental, cognitive, biological and behavioral theories, a perspective that supports his editorial duties on the Forum. He also has looked at severe stress, physiological response, brain development and function. One of his recent publications, “Post traumatic stress, context, and the lingering effects of the Hurricane Katrina disaster among ethnic minority youth,” in the Journal of Abnormal Child Psychology, is an example of this wide-angle viewpoint. Carl is joined in these goals by R. Enrique Varela, PhD, from Tulane University. Dr. Varela serves as Associate Editor for the Child & Youth Care Forum, and brings his research in development of anxiety in youth, and also a particular emphasis on cultural, familial, and cognitive influences in this process. Brandon Scott, PhD, from the U. of New Orleans serves as Editorial Assistant. He works closely with Dr. Weems in the Youth and Family Stress, Phobia, and Anxiety Research Lab at UNO, and his current research interests focus on understanding the role of emotion regulatory processes in anxiety-related problems for children and adolescents. Jody Camps, PhD, from Children’s Hospital New Orleans, and Natalie Costa, PhD, from University of New Orleans also serve on the board. Dr. Costa brings her expertise at investigating why anxiety aggregates in families and the association between parent and child anxiety. Psychology Chair and Distinguished Professor at UNO, Paul Frick, PhD, is included on the Forum’s Editorial Board. Paul is an international expert in understanding the different pathways through which youth develop severe antisocial behavior. Tulane’s, Michael Scheeringa, MD, Professor from Tulane Medical School also serves on the Editorial Board. Together the experts create a platform to bridge the gap between research and practice, and to give readers a perspective and source for effective practices with children, adolescents, and families. To accomplish this, articles include science about how children and adolescent can overcome difficulties of mental health problems, traumatic stress, negative family dynamics, and community issues such as crime or violence. Another goal is to help “normal children actualize their potential,” as understood from the perspective of positive psychology and other theoretical frameworks. The February issue included two articles from Louisiana researchers: “Perceptions of Parenting, Emotional Self- Efficacy, and Anxiety in Youth: Test of a Mediational Model,” authored by Laura Niditch and R. Enrique Varela; and, “The Good Enough Home? Home Environment and Outcomes of Young Maltreated Children,” by Neil W. Boris, Sherryl Scott Heller, and Charles H. Zeanah, all of the Tulane U. School of Medicine. And also Janet Rice, Department of Biostatistics, Tulane U. School of Public Health. The Forum offers free downloads of some of their most popular articles, including the “The Good Enough Home?” article. The journal’s goal is to provide the ideas and innovations needed, not simply to resolve children’s problems, but to “foster what is best for child and adolescent’s development and functioning. In other words, to help the child and adolescent actualize and attain their fullest potential.” To this goal, Dr. Weems is looking for important contributions. “We would love to receive submissions from Louisiana psychologists – clinical or researchers– on topics of research and practice in children’s intervention and psychological services,” he told the Times. In Social Behavior and Skills in Children, premier scientist and LSU Professor and Distinguished Research Master, Dr. Johnny Matson, brings together a slate of experts to explain the science and practice of helping youngsters with problems to strengthen their social behavior. Matson and his contributors unfold a wealth of information in theory, research, and practical advice to support both the clinician and researcher to update and focus thinking in this complex and essential topic. Matson has a gift for coordinating interesting, authoritative sources. In Social Behavior he draws from experts at Louisiana State University, from the Center for Autism and Related Disorders in California, from the Universities of Kansas, Southern Illinois, Southern Mississippi, Southeastern Louisiana, Virginia, Texas at Austin, Central Florida, and Universities in New Zealand and Italy. Among this group are Louisiana State University’s Jessica Boisjolie, Dr. Thompson Davis, III, Timothy Dempsey, Jill Fodstad, Melissa Munson, Tess Rivet, and Erin Tarcza from LSU, and Dr. Monique LeBlanc from Southeastern. with Developmental Disabilities, Resource Center on Psychiatric and Behavior Supports, in Hammond, Louisiana. these deficits in social skills can impact quality of life and future development of a youngster. adequately in texts about mental or physical disorders. Social Behavior will help ensure that practitioners have the newest information supported by scientific findings. One of the satisfying aspects of Social Behavior is the logical structure and consistency that flows from chapter to chapter, despite the variety of topics and different authors’ perspectives. The structure facilitates the readers’ thinking about the subject, defining the concepts, applying the available evidence, analyzing gaps and directions, and linking practice recommendations to both assessment and treatments. Whether a practitioner or researcher, the reader will easily be able to update knowledge in this rapidly evolving area, and have on hand a comprehensive and relevant review of the literature. Yet there is ample practical advice and information. Social Behavior provides 48 norm-referenced measures of social skills and an array of evidence- based interventions with critiques. Dr. Matson has authored more than 37 books and his way of handling complex theoretical and technical matters is to produce cleanly written and logically organized volumes. Social Behavior meets this goal by capturing a record amount of information in a concise 13 Chapters without unnecessary tangents or bloated narrative. In “History and Overview,” Chapter 1, authors define applicable concepts and review the progression and evolution of the science over time. Authors provide the scope of the field, an overview of assessment and treatment, and the current state of research. Dr. Monique LeBlanc, Assistant Professor at Southeastern Louisiana University helped coauthor the chapter. In Chapter 2, “Theories of Social Competence from the Top-Down to the Bottom-Up: A Case for Considering Foundational Human Needs,” authors untangle the theoretical issues further in an intriguing review, including sections on “meta-theoretical lens” and “resource control theory,” an evolutionary based theory of social competence. authors, including Dr. Sara Jordan of U. of Southern Mississippi, point out how social skills problems are related to a variety of developmental and psychological disorders experienced by youngsters. LSU’s Jessica Boisjoli and Johnny Matson author Chapter 4, “General Methods of Assessment.” They provide a comprehensive review of current methods for assessing social skills, along with supporting evidence, current trends, and future directions. “General Methods of Treatment,” Chapter 5, is authored by LSU’s Timothy Dempsey and Johnny Matson. They provide an overview of the guiding theory for social skills interventions, including the methodological issues in current research. Results of meta-analysis of outcome studies is included and also an explanation of “social validity,” a way of understanding the value of interventions. Chapter 6 is “Challenging Behaviors.” This chapter is coauthored by Dr. Rebecca Mandal-Blasio and Dr. Karen Sheridan, both from the Louisiana Office for Citizens with Developmental Disabilities. Dr. George Schreniner is also a coauthor. Authors examine how challenging behaviors such as aggression, property destruction, or self-injury, for example, are related to social skills deficits, including acquisition deficits, performance deficits, fluency deficits, and interfering behaviors. They review functional assessment and interventions. In Chapter 7, “Social Skills in Autism Spectrum Disorder,” authors define concepts and provide an overview of interview and observation scales that are useful in measuring social skills in this population. They include the Children’s Social Behavior Questionnaire, the PDD Behavior Inventory, The Social Responsiveness Scale, and Matson Evaluation of Social Skills with Youngsters. Coauthors also review an array of skills addressed by interventions, including social initiation, conversational behavior, sociodramatic play, reciprocal interactions, perspective taking, and others. In Chapter 9, “Attention-Deficit/Hyperactivity Disorder,” authors provide an overview with current definitions, assessment methods, and interventions for social behaviors deficits in youngsters with ADHD. They include a section on “Novel Directions for Treatment,” and explain “friendship interventions,” interventions for peer rejection that focus on the peers, and new strategies for cooperative learning in classrooms. 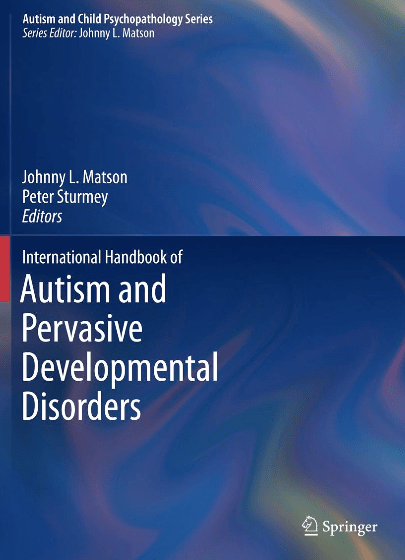 Chapter 10 is “Evidence-Based Methods of Dealing with Social Deficits in Conduct Disorder.” Authors outline diagnostic criteria, etiology, assessment issues, and treatment including a section on prevention. LSU’s Dr. Thompson E. Davis, III, collaborates with coauthors Melissa Munson, and Erin Tarcza, for Chapter 11, “Anxiety Disorders and Phobias.” The authors note that numerous anxiety disorders and phobias in children can interfere with social, school and family relationships, including discrimination and even victimization. They explain that little attention has been paid to social behavior in anxiety-disordered children outside of social phobia, and provide information on etiology, prevalence, and social skill problems that are unique to this population. They provide an appealing definition of anxiety, current theory, research, assessment, and treatments, calling for a multi-level approach. In Chapter 12, “Major Depression,” LSU’s Jill Fodstad and Johnny Matson, point out that at one time experts thought children did not experience depression and write “serious psychological disturbance that affects a large number of children,” must not be taken lightly. The complex nature of depression, they note, requires the clinician to take into account etiological variables, and “skill set, competence, developmental level, and needs of the client…” It is not a one-size fits all problem, the authors say, and recommend a broad- based, multi-method assessment approach. They review biological, environmental and psychosocial factors, and present an extensive review of available assessment methods. Social Behavior and Skills in Children concludes with Chapter 13, “Medical and Physical Impairments and Chronic Illness,” by Tessa Rivet and Johnny Matson of LSU. They define chronic physical childhood conditions and review theoretical models for psychosocial adjustment. 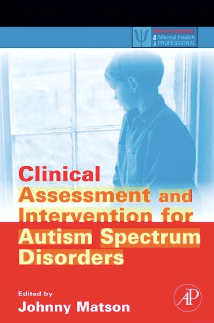 They outline the impact of these illnesses and physical disabilities on social skills, psychosocial development, risk, resilience and provide extensive information for assessment, including a compilation of studies of social functioning of children with asthma, cancer, cardiac conditions, cerebral palsy, craniofacial conditions, epilepsy, hearing loss, HIV, and others. This excellent work is available at Springer (http://www.springer.com) and at online booksellers everywhere. This entry was posted in The Bookshelf on October 9, 2011 by admin. Sports Hypnosis In Practice, by Dr. Joseph Tramontana, is a delightful, candid and enormously useful book for clinicians working with athletes. Licensed clinical psychologist, and one time runner, sprinter and coach, Dr. Tramontana applies his clinical skills and imagination to the mental side of sports. He weaves together hypnotherapy techniques, elements from the culture of competitive athletics, and specific directions for uncovering meaningful personal imagery, to help athletes improve their performance. Dr. Tramontana accomplishes this within a solid base of classical hypnotherapy technique and multi-level communications for unlocking potential. He writes in a direct, genuine, and first person style that lends itself to an appreciation to this interesting sub-specialty. He includes a variety of ideas in story-telling, interviews, affirmations, quotes, books, and movies that help with the process and enlivens the text for the reader. “What I especially enjoy about working with athletes, young or older,” Joe explained to the Times, “is their extremely high motivation to improve.” Joe’s enjoyment of sports culture and his concern for the athletes emerge clearly in the text. “…The progress, gains, and successes are often quick, dramatic, and measurable,” he notes, a situation that makes this work a satisfying, upbeat area of clinical practice. In Sports Hypnosis Dr. Tramontana provides specific directions and scripts, showing the reader how to modify techniques and suggestions for particular sports or particular athletes. techniques at home.” In a short time the gymnast was back performing comfortably. The directions and scripts are enhanced by a set of interviews with coaches and athletes, including Brian Kinchen, former LSU football star and NFL tight end and long snapper. Also included is LSU women’s tennis coach Tony Minnis, LSU’s women’s softball coach, Yvette Girouard, and LSU’s equestrian club team coach, Leaf Boswell. Sports Hypnosis is complete with scientific links and references, successfully blending with the work of other sports psychology experts, information from researchers in human performance, and important techniques from other hypnotherapists. As a former competitive runner and sprinter, and also a coach for marathoners, Joe demonstrates his insightful knowledge about the challenges and demands that athletes encounter. He brings together his knowledge of normal personality, clinical insight, and his awareness of the emotional demands that arise in a variety of competitive endeavors, to show how the clinician can uncover the cognitive psychology of the athletes’ beliefs. Sports Hypnosis will be directly and immediately useful for psychologists trained in clinical hypnosis who want to assist athletes, but it will also be valuable to those who want to better understand the specifics of indirect methods and how hypnotherapists engage the subconscious to help clients overcome personal obstacles. The design of the book begins with a crisp but complete “Introduction,” providing background and scientific context for applications. In Chapter 1, “Overview of Hypnotic Approaches with Athletes,” Joe outlines the techniques he uses for trace induction and deepening, imagery, and techniques for specific suggestions for athletes. In “The US Big Three: Football, Baseball, and Basketball,” Chapter 6, Joe interviews Brian Kinchen, tight end for LSU, the Miami Dolphins, Cleveland Browns, Baltimore Raves, and Carolina Panthers. Kinchen became the deep snapper for the New England Patriots and snapped the winning field goal in the team’s Super Bowl victory. covering “Volleyball, Soccer, Olympic Shooting, Cycling, and Rugby,” completes the review of specific sports. Dr. Tramontana shifts gears in Chapter 10 to give a review of “Recovering from Injury and Returning to Training and Competition,” which includes hypnotic techniques to enhance recovery after surgery or injury. “My work with pain patients–I currently work one day per week in a pain management clinic and am referred to as their ‘pain psychologist’– dovetails nicely with working with athletes who have overuse or injury- related pain,” Joe noted. Chapter 11, “Substance Abuse and Other Addictive Behaviors,” builds on his clinical expertise of working with additive behaviors. Sections on “Affirmations” and on “Books and Movies,” are given in the Appendix, and complete this engaging, upbeat and very usable book. Dr. Joseph Tramontana is in private practice in Baton Rouge, and is also a Psychological Consultant to DDS. Additionally, he serves as the “Pain Psychologist” at Southern Pain & Anesthesia, in Metairie. He also sees clients monthly in Pass Christian, MS. He has served as Director of the North Mississippi Mental Health and Retardation Center. He belongs to the Southern Pain Society and the Mississippi Pain Society, the American Society of Clinical Hypnosis (for whom he has served as a faculty member), and the Association of Applied Sports Psychologists. He is a member of APA, the Louisiana and Mississippi Psychological Associations. Dr. Tramontana was recently elected to the Louisiana Psychological Association Executive Council and is Chairperson of the Public Affairs Committee and of the Elections Committee. He is presenting a workshop in September (2011) at the annual meeting of the Society for Clinical and Experimental Hypnosis, an international organization, held this year in New Orleans. Sports Hypnosis is his second book. His first is Hypnotically Enhanced Treatment for Addictions, also published by Crown. This entry was posted in The Bookshelf on September 1, 2011 by admin. In her book, Effective Elder Caregiving, retired LSU-A professor of developmental psychology and life member of LPA, Barbara Rothschild Allen uses her professional knowledge and personal journey to produce a clear, candid and useful set of ideas for those who provide care for an elder. Caregiving is a self-help book for those in the “primary” caregiving role, most often a family member who has the affectionate and moral responsibility for the elder. The book also includes important guidance for those in the “secondary” caregiving role, most often a paid professional. 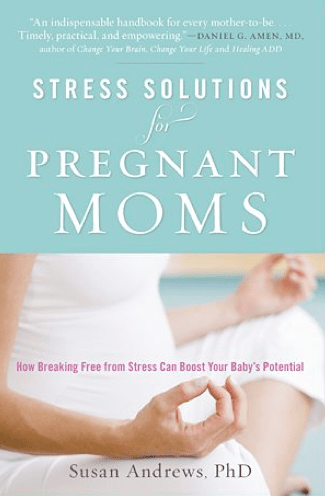 This dual guidance is immensely helpful because, as the authors point out, primary caregivers can rarely handle the responsibilities by themselves. A final perspective, that of the elder care-receiver, rounds out this 360° view of the complexities in elder care, the overlapping duties and complicated relationships, and the needs and challenges in this essential physical, psychological, and spiritual time of life. Barbara’s contribution as psychological expert runs throughout the work, resulting in factual information and insights to support the reader’s decisions. But perhaps Barbara’s contribution is most heartfelt and poignant in the personal narratives of her own journey caring for her husband Al, to whom the work is dedicated. Barbara commented to the Times that the revised edition is gaining more attention, perhaps because more people now find themselves in the caregiving role. Barbara recently spoke to the American Association of University Women in Austin, where the work was very well received. Barbara said that she enjoyed writing the book. “I have done some writing earlier. I was a coauthor for a book on adolescent psychology. And, I felt that I should have done more writing over the years.” She stays away from the computer, instead writing on an electric typewriter that she purchased in 1965 when working on an NIF grant at Berkley. Effective Elder Caregiving is designed in three parts, each including short, understandable and concise chapters that stay on track, and in which the authors highlight narratives with important, but not overdone statistics. Part One, “Primary Caregivers,” includes twenty short chapters that reflect the journey from the first steps of acknowledging the role, to the last stage of the process, the elder’s death. Writing in first person, Barbara describes the practical and psychological challenges encountered by the primary caregivers in heartfelt stories of her own journey, adding insights from her background in life span and developmental psychology. In Part Two, “The Employed Personal Caregiver,” Barbara and coauthor Lauren Barrett, a professional caregiver, point out the knowledge and skills needed by those in this profession. Chapters include: “Desirable Personality Traits of Caregivers,” “Training, Experience and Education,” “Communication Styles and Listening Skills,” and “Morals and Work Ethic.” Issues such as stealing, tolerance, and abuse are discussed candidly, making the book useful as a guide for employers who are also the primary caretaker. Practical information is abundant, including “Appearance and Personal Habits,” “Your Physical Health,” “Your Mental Health,” and “Financial Concerns.” Chapters on “Do You Have the Right Stuff” and “Working Through Your Personal Issues,” directly address job match, and the fact that not all people are suited for gentle, tolerant and respectful caregiving. Barbara Rothschild Allen has written an important self-help book that can make an immediate positive impact on the decisions and thinking of a person thrust into, or gradually taking on the role of primary caregiver, where many in the baby-boomer generation now find themselves. The book is available on Amazon. However, you can also purchase it directly from Barbara for $20 ($14.95 plus tax and shipping) at 40 N I H 35, Apt 12a2, Austin, TX 78701. And if you ask, she will autograph your copy! In the steadily growing industry of recreational gambling, four to six percent of all gamblers will become compulsive, leading to a devastating impact on their lives. Dr. William G. McCown, clinical psychologist and professor of psychology at the University of Louisiana Monroe, the coauthor/editor of eight books and international consultant, brings his scholarly and creative talents to this relatively new and still evolving area of gambling addictions. In these two texts, Bill and his coauthors wrestle with and illuminate the complex issues in this field, including definitions, differential diagnosis, theoretical underpinnings, and practical clinical tools needed for helping this group of individuals. They point out that 27 percent of all people will deal with a substance or other addiction problem at some time in their lives. However, the authors note that only ten percent of therapists are trained to treat individuals with addictions. This leaves 90 percent with often limited resources. In Treating Gambling Problems, Dr. Bill McCown and coauthor Dr. William Howatt lay out a comprehensive picture of the thinking process, skills, ideas, and tools that are essential for assisting a client with these issues. This hands-on and readily usable text accomplishes that goal easily, with it’s engaging style and extremely thorough coverage of the topic. More appealing in presentation than most textbooks, Gambling Problems is loaded with practical ideas that are fresh, informative and immensely useful. All this is backed by the authoritative voice of experience. This voice is likely due to Bill’s background in the area. His 2000 theoretical text, Best Possible Odds, coauthored with colleague Dr. Linda Chamberlain, has been credited as one of the first comprehensive books on the topic, fueling research and clinical interest in empirically based treatment of gambling problems. Bill has been a member of the Louisiana Association of Compulsive Gambling since 2002 and has made fifteen professional presentations on the topic. He has supervised twelve theses on gambling disorders by his graduate students, and he has authored an internet-based program for helping gamblers. Gambling Problems leaves no stone unturned in its credible, understandable, and detailed presentation. In a handy 280 pages, the author’s walk the reader through conceptual, theoretical and scientific issues. Perhaps the most notable aspect of this user-friendly text is the surprising (for a clinical book) wealth of hands-on, practical suggestions and conceptual tools for the practitioner. The richness, creativity and completeness of this information are impressive. The authors engage the reader with charming “Truth or Fiction” quizzes, short knowledge tests, and crisp “Points to Remember.” The text is full of checklists, assessment forms, and lists of concepts the reader can immediately put to use. A family questionnaire from Louisiana Association on Compulsive Gambling and one from Gamblers Anonymous, a list of signs of problems noticed by employers, a list of tests and their usefulness in assessment of gambling problems, and the Addictive Disorders Screen–7, are included, just to name a few. “Recommended Readings” at the end of chapters guide the reader to in depth resources and areas of controversy or scientific debate. And along with all sorts of interesting boxes, there is a call-out titled “Imagine That!” with tidbits of fascinating and fun information. “Utilizing Optimal Professional Resources,” Chapter 3, includes information on a professional referral network and specific resources, matching clients to the best resources, motivation, and risk management. In Chapter 4 authors outline “Developing an Effective Treatment Plan,” giving a step-by-step approach with therapeutic issues and problems to watch for in both the clinical and legal settings. In “Recovery Theories, Programs, and Tools,” Chapter 5 provides a broad review from the larger perspective of human change. “Continuing Care: When and How Should Clients Be Discharged,” Chapter 6, includes statistics on positive and negative outcomes and criteria for discharge. “Posttreatment Recovery Management: Models and Protocols of Relapse Prevention,” Chapter 7, includes triggers for relapse and emerging problems at this stage of treatment, including physical, family, and mental disorders. “New Beginnings: Moving Beyond Addiction” concludes the work. Authors cover topics of personality change, humanistic therapies, positive emotions and happiness, moral development, and going beyond selfhood,” in another broad based review with strong philosophical underpinnings. Best Possible Odds is the precursor to Treating Gambling Problems and provided one of the first and most comprehensive overviews of the emerging science and therapeutic issues available in 2000. In Odds, Bill McCown and coauthor Linda Chamberlain work to bring a cogent review of why compulsive gambling is on the rise and why it is an addiction disorder. Odds fills a gap created by the fact that the therapeutic community is only just beginning to fully acknowledge compulsive gambling problems. Odds is scholarly and theoretical, with authors reviewing and analyzing competing models including physiology, social-economic, and psychodynamics, in an expert, eclectic approach. The “central thesis of this book is that recovery from addiction is a nonlinear process,” state the authors and back it up in a review of Chaos Theory as a key for understanding change. Odds begins with “An Introduction to Gambling and Gambling Disorders,” and then fits this into a larger context in Chapter 2, “Paradigms of Problem Gambling Behavior.” In Chapter 3, “The Phenomenology of Gambling,” authors explore the “gateway concept” and review Custers’ subtypes (professional, antisocial, casual social, serious social, neurotic, and compulsive). “Etiologies and Maintenance of Gambling Disorders: A Brief Review,” outlines evidence for reinforcement, motivational, and biological influences, among others. “Assessment of Gambling and Gambling-Related Psychological Disturbances,” Chapter 8, outlines an assessment approach that is broad and comprehensive, a review of the critical-thinking required in assessment efforts necessary for all complex issues. “Chaos Theory, Gambling, and Addictions: Speculations on New Methods of Nonlinear Treatment,” is a fascinating chapter that requires the reader to put on the thinking cap and is likely based on Bill’s previous work on Chaos Theory and family therapy (Strange Attractions: Chaos, Complexity, and the Art of Family Therapy, 1998 Wiley). “Family Systems Therapy: Treating the Patient and the System,” Chapter 10, continues this integrative theme and Chapter 11, “Epilogue: Consideration for Future Research and Interventions,” closes the work. His first clinical/research job was at the New Orleans VA Medical Center, “…where so many present LPA psychologists got their start…it was a great place to learn and do research,” he said. In the mid 1990s Bill returned to Louisiana to what was then Northeast Louisiana University, now University of Louisiana at Monroe. “My research was split between nonpharmacological addictions, including gambling and chronic procrastination, and explorations of what we call nonlinear behavior, or chaos theory.” Presently, these interests have expanded to include Bipolar II Disorder and adult attention deficit spectrum problems. “Our Provost, Dr. Stephen Richters,” Bill explained, “has the vision to realize that psychology is vibrant and must be a key part of 21st century curricula. And, our new President, Dr. Nick Bruno, has an extraordinarily strong commitment to the campus and community’s mental health. He also understands the importance of psychology. This is simply a great team to work under,” Bill concluded. Dr. William G. McCown has held various positions in the university including Director of Training and interim Associate Provost. He is presently interim Director of the Graduate School at ULM.